Based in New York, Sophie Gamand is a French, award-winning photographer and animal advocate. You may know her from her well-known series, Wet Dog, a collection of more than 120 portraits of dogs captured at bath time. 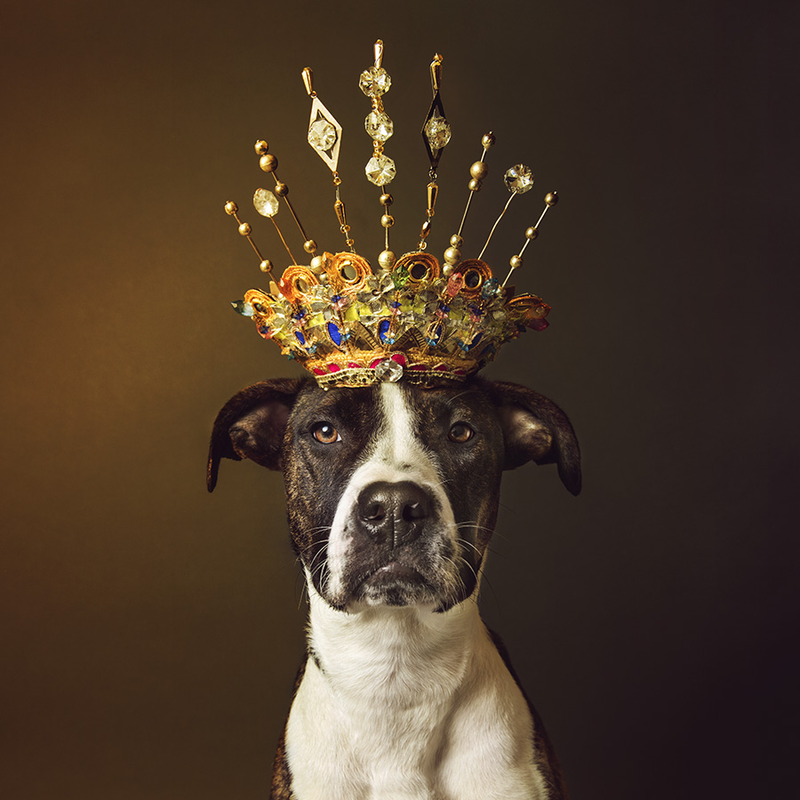 She’s also made a name for herself in recent years through her work with shelters, rescue organizations, and the dogs and other animals in their care - most notably her portraits of pit bulls - the flower-crowned pups you’ve likely seen photos of before. Free People (FP) has long been a supporter of rescue organizations, especially PAWS, a non-profit local shelter based in Philadelphia that’s dedicated to saving Philadelphia’s homeless, abandoned and unwanted animals. So Sophie Gamand was the immediate photographer of choice for their limited-edition Free People x PAWS 2017 calendar. 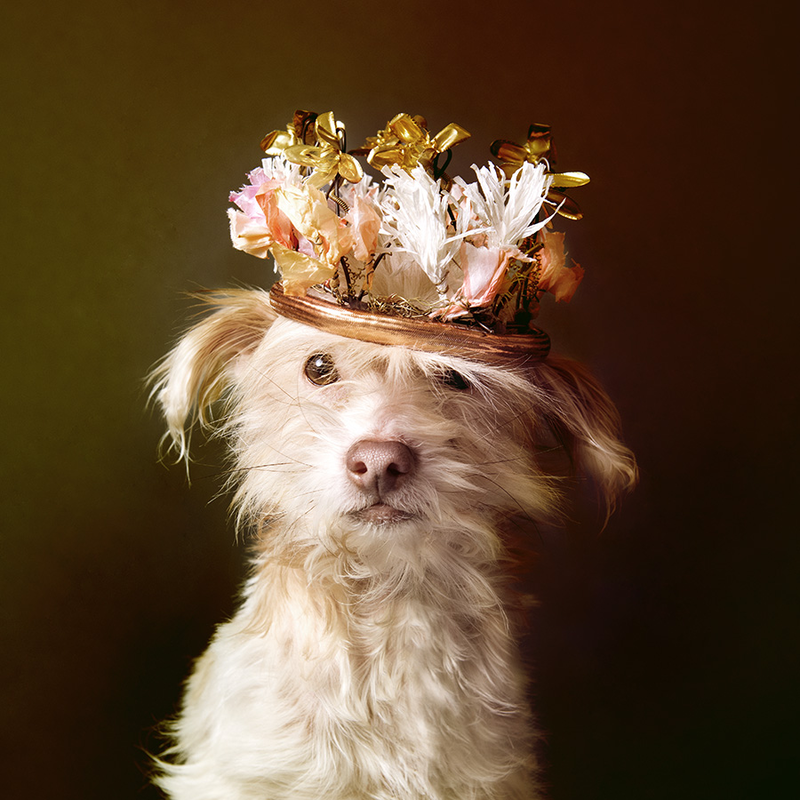 Free People’s display and design teams created ornate, colorful flower crowns for the dogs. 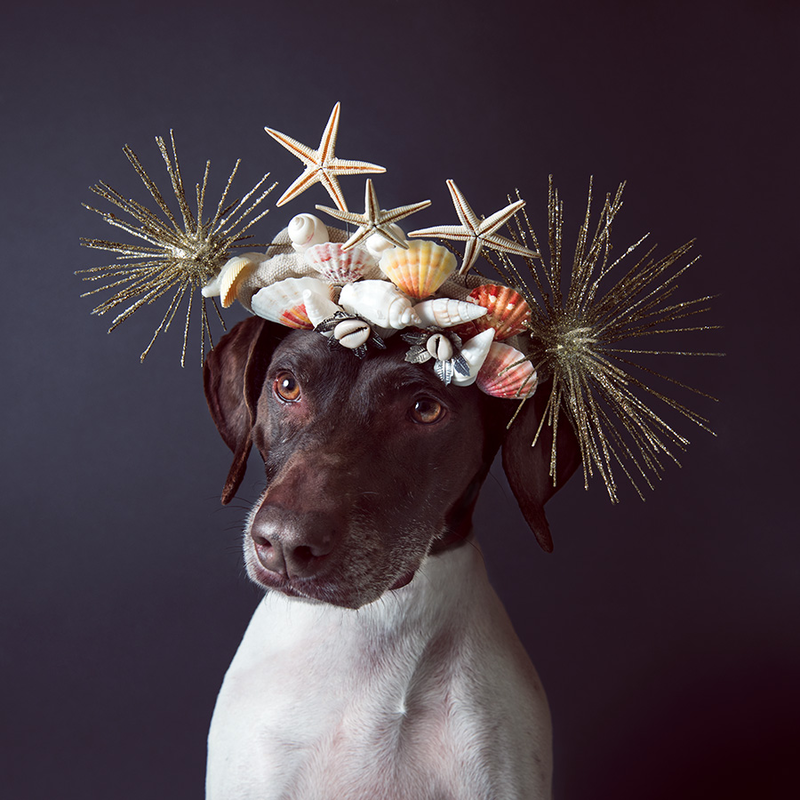 And over the course of two days, Gamand photographed 15 up-for-adoption dogs of all shapes and sizes wearing the flower crowns. The images became a calendar available for purchase on freepeople.com. For every calendar purchase and pup adoption within the month of February, a portion of the proceeds go toward PAWS. The calendar highlights the important work that Gamand and shelters across the country do to find these dogs the homes they deserve since a good photograph of an adoptable animal can be the difference between them spending just days in a shelter versus years. Click here to go behind-the-scenes of the PAWS photo shoot and read a Q&A with Sophie Gamand. And be sure to get a copy of the 2017 calendar — all proceeds go to PAWS.